Highlighting the importance of culture and the arts, Jason Micallef said Valletta 2018 presents an opportunity to celebrate Valletta and the island’s history with a focus on the contemporary. 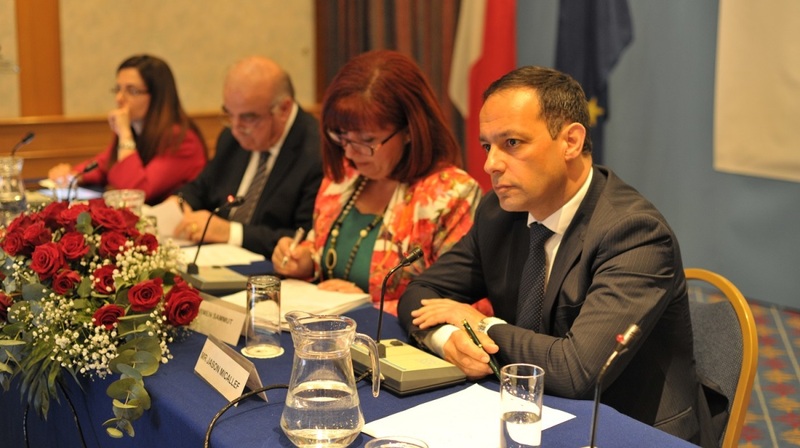 He urged Maltese living abroad to participate in the Valletta 2018 experience . Valletta 2018 Chairman Jason Micallef has urged Maltese living abroad to actively participate in projects being organised by the Valletta 2018 Foundation in preparation for the European Capital of Culture year. Addressing the Convention for Maltese Living abroad, Jason Micallef said that over the past year, the Foundation, together with its partners, has worked tirelessly to transform the centre of Valletta into an exciting and attractive hub in which one can live and work. Highlighting the importance of culture and the arts, Jason Micallef emphasised that Valletta 2018 presents an opportunity to celebrate Valletta and the island’s history with a focus on the contemporary. Besides economic regeneration, one of the main aims of Valletta 2018 is making culture accessible to all. Audience participation is crucial to this and Maltese living abroad too are part of the journey. Jason Micallef urged the conference participants to encourage other Maltese living abroad to participate in Valletta 2018 projects along with them and share the unique experience being moulded.